Hello and welcome to the Bushland Lullaby blog tour. I am delighted with my new picture book - or should I say, with OUR new picture book, since illustrator Lisa Stewart's work is a good part of the charm. This is a lap-book - ideal for bedtime reading. The pictures are in soft pastel and each shows a dream-like image of a bush baby going to sleep. 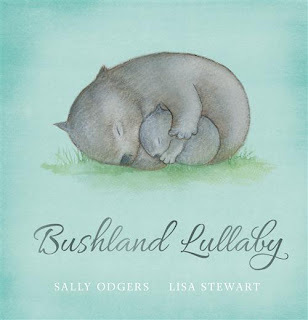 Bushland Lullaby is a rhyming picture book, and falls into a gentle rhythm when read aloud. Below are details about the book, and the associated contest. Blog-tour venues will be added very soon. Please state your preference when commenting.